Shoes must be worn when operating this car. 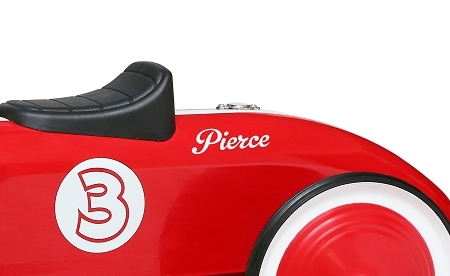 Don't forget our Personalized Red Racer is the perfect gift! 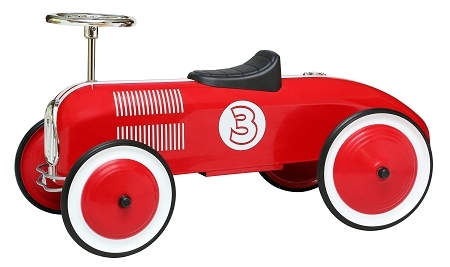 Materials: Durable steel construction, rubber wheels.